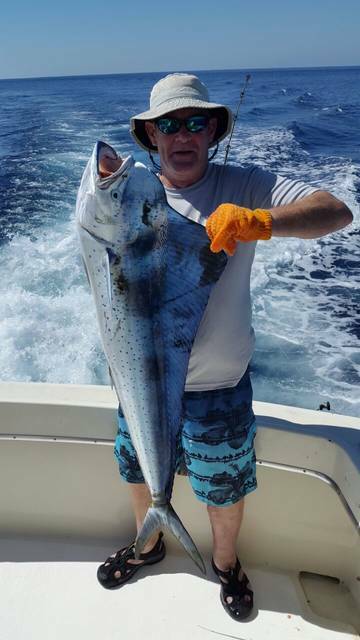 Quepos Costa Rica Fishing with our Manuel Antonio Sport Fishing Captains & Premier Quepos Fishing Boats. 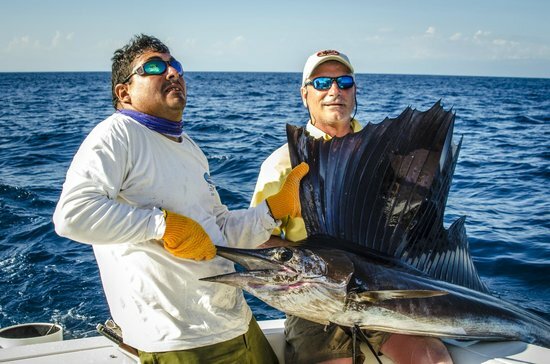 Book one of our Quepos deep sea fishing charters and tackle Sailfish, Marlin and other Pelagic Fish or catch some Rooster Fish in our inshore fishing charters, all taken place here in Quepos, Manuel Antonio, Costa Rica. Scroll down to find information about our offshore fishing & inshore fishing trips. Get ready for an exciting day of fishing! Planning on booking a Fishing Charter in Quepos, Costa Rica? 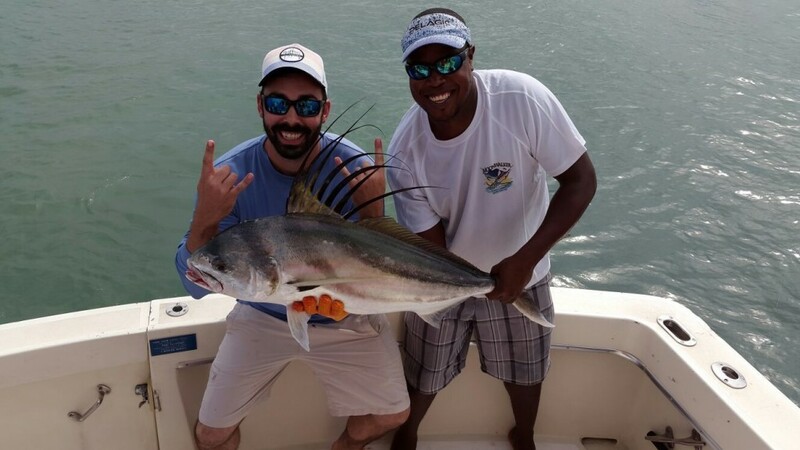 The Reel In Team provides you with the most complete Sport Fishing Guided Charters. 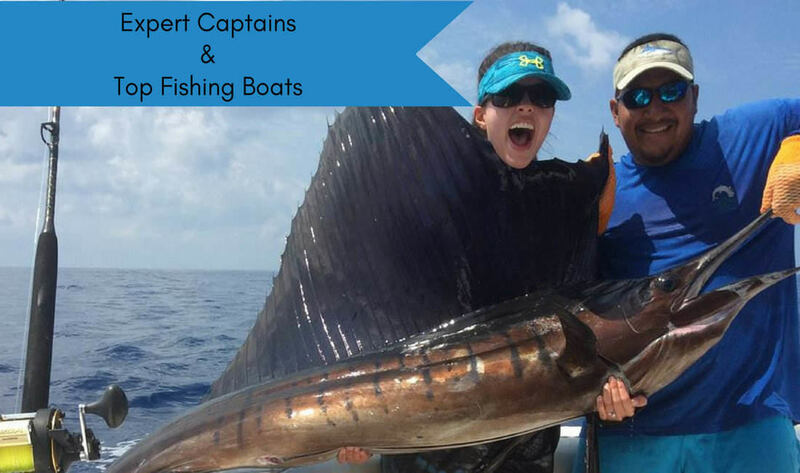 Our Captains are local Fishermen from Manuel Antonio, Costa Rica and have more than 15 years of exploring the offshore & inshore fishing Grounds. 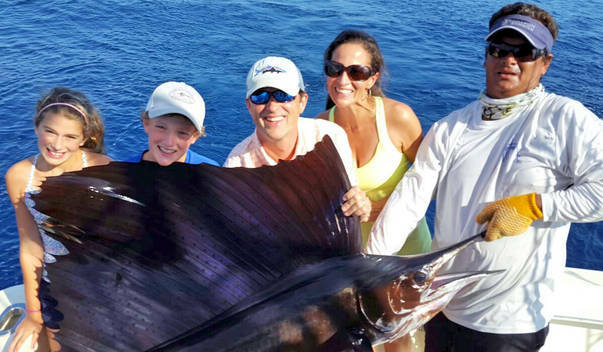 PLAN YOUR QUEPOS FISHING CHARTER TODAY! We strive to get you on the most action possible. How do we do this? Our company is fully dedicated to having the Premier Fishing Boats and the most knowledgable Crew, with this combination, you will have the Best Opportunity of Catching an Offshore Fish such as Sailfish, Marlin, Dorado, Tuna and Wahoo or going Inshore for Rooster-Fish, Snook, Grouper, Red Snapper, & more, all on the Best Fishing areas of Quepos, Costa Rica. Enjoy the 2018 Quepos Costa Rica Fishing Season with our Local Captains & Our Boats which are Top Rated in Quepos, Costa Rica. Since the start of our company, the #1 Goal has been to provide Novice & Avid Anglers with the Ultimate Quepos, Costa Rica Fishing Adventure. Tell us the type of species you wish to target. We will then determine The Best Charter Option for you based on the fish you selected. Below is a full list of All The Species of Fish, separated by each Fishing Charter. These guys really know what they are doing when it comes to fishing. I took my mom and dad on a surprise fishing trip offshore. We hooked 8 Sailfish early morning and then ended the day with 5 Yellow Fin Tuna. All I can say is thank you for such a great time. Pura Vida! Fishing trip of a lifetime! 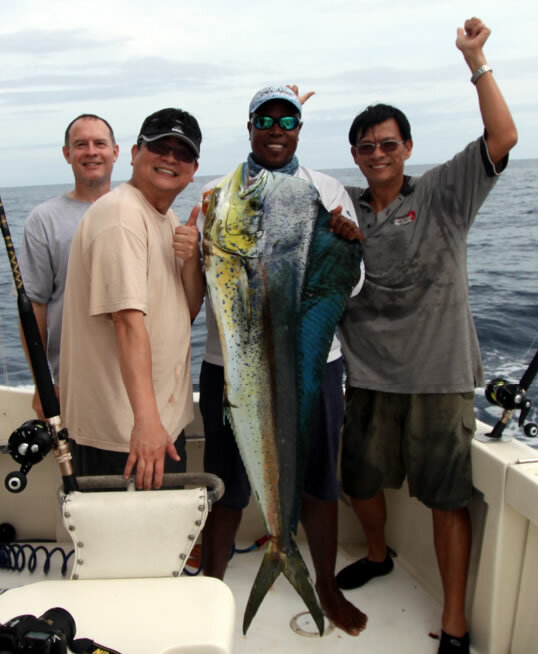 This is our 5th fishing trip with Reel In Luxury Sport Fishing. Amazing operation. We could not have asked for a better crew on the 36 ft Bertram (Reel In 1). Our Best Quepos Fishing Trip! Booked 2 days offshore and 1 day inshore with the Reel In Team. It was me and my brother, and we chartered the 36 ft Bertram. 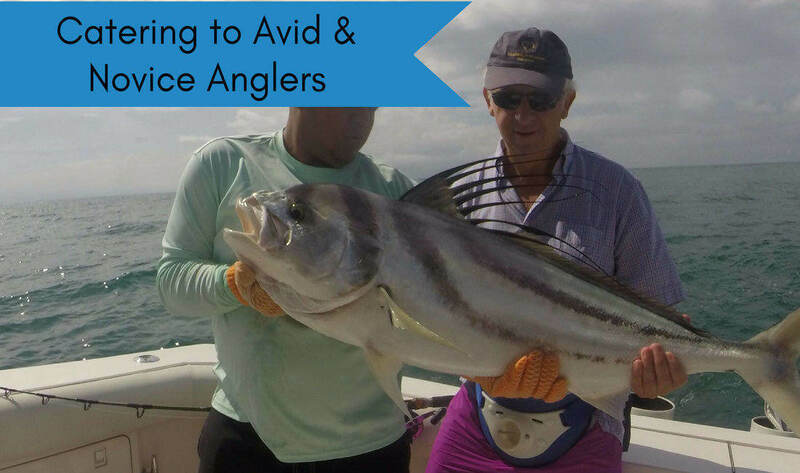 We are experienced anglers as we do a lot of fishing back home. We had a great trip with captain Michael, he worked very hard to put us on the action and he did, we had a lot of success on our 3 fishing trips. We released, Sailfish, Marlin and caught some nice Dorado on the offshore charter and some Rooster Fish and Red Snapper for the inshore trip. Mandel, the owner, recommended that we stay at his Villa in Manuel Antonio which was also great with really nice ocean views and located right in the heart of Manuel Antonio. We are all ready planning our return trip. Thank You all again for such a great time. Keep tight lines! The best deep sea fishing charter of our life. Went with my dad on the 36 ft Bertram for an all day offshore trip with Captain Chepe y first mate Junior. These guys had us reeling in a blue marlin which weighed over 300 lbs in less than 2 hours of being on the boat. The food was great and the boat was very clean and the crew was very friendly. Wow! What a great fishing company. Booked a full day offshore fishing charter with the Reel In Team and all I can say is these guys really know how to fish and they put us on a lot of action for sailfish and Tuna. Highly recommend you fish with Reel In Luxury Sport Fishing. Thank you Mandel for answering all of our questions. Best fishing company in Quepos, we had some client in our tour that wanted to do fishing so we sent them to Reel In and my God where they happy!! 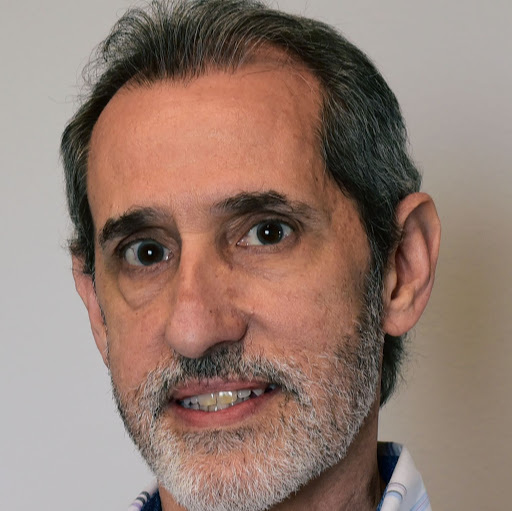 Talk to Mandel Feingold and he can help you out with everything!! My first time out of the country, visiting Quepos, Costa Rica was exceptional. The service I received on the chartered fishing trip with Mandel and his crew was superb. I have nothing but gratitude for the special treatment they showed me as guest during my stay in Quepos. Reel In Luxury Sport Fishing lived up to its name. They went out of their way to make you feel welcomed. This was a trip to remember and I am happy to have fished with Reel In Luxury Sport Fishing. I would definitely return for another trip and would recommend that anyone wanting to have a great time on the water go with Reel In Luxury Sport Fishing. Thank you Mandel and your crew for everything.. 4/22/2016 Alicia G.
I STRONGLY recommend this charter to anyone regardless of the experience level. I went on a one day trip in April and it was the best fishing charter I've been on. In the past, I have taken charters out of Key West, Florida, Louisiana and The Dry Tortugas. It would be extremely hard and (in my opinion) a waste of time to even search for a better experience. The crew and owner are more than accommodating and polite. Mandel, is willing to provide transportation from the landing strip in Quepos, from San Hose. Now for the best part three sail fish (one of which was 10ft. long). One bull Dolphin (Mahi-Mahi) about 6ft long. One of the best fishing trips you can take! We had an excellent deep sea fishing trip. The 42' boat is in excellent condition and expertly rigged. The captain and the crew were very friendly and extremely competent. We caught 3 sailfish and 8 good size groupers. Everything exceeded expectations. Top Rated Captains with Fast & Reliable Fishing Boats. Best Rates For All Types of Fishing Charters. Our Company is growing and we are owning and operating more boats. Ranging in size and price. You can be sure find the boat that suites all of your needs. The offshore fishing (deep sea fishing) in Quepos, Costa Rica is the perfect opportunity to Fight Big Fish . You can book a full day offshore charter which is an all day trip and will provide you with the most time on the water and the highest chance of having the most productive day of fishing. There is also the option of a 3/4 Day Offshore. Head over to our Offshore Fishing Section for further information. 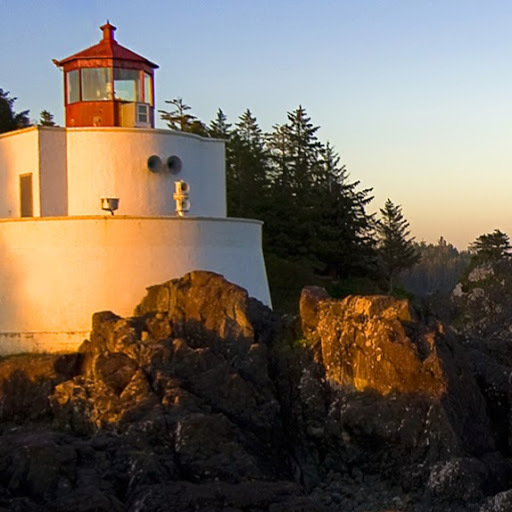 Want to read more about the Quepos Inshore Charters? Well in the fishing paradise that is Quepos, Costa Rica. Enjoy an exciting day of fishing in Quepos, Manuel Antonio, Costa Rica with the “Reel In” Fishing Team. The Reel In Captains have years of fishing in Quepos and will take you directly to where there is the most action. Quepos and Manuel Antonio, Costa Rica offer world class sport fishing, for both Offshore Fishing, also called Deep Sea Fishing, and for Inshore Fishing. The 2018 sport fishing season here in Quepos, Costa Rica is showing to be a great year for fishing. We hope the bites for the offshore and inshore fish continue to be good throughout the year. The Reel In boats and crew will provide you the ultimate fishing experience. Since the start, our priority has always been customer satisfaction. 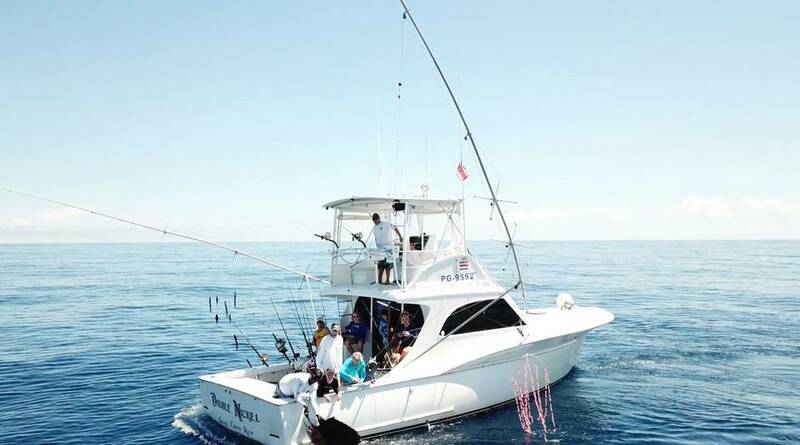 Our Quepos Fishing Charter company has provided many productive deep sea fishing charters (offshore fishing) and inshore fishing to a wide range of happy, satisfied anglers. We’ve raised lots of fish, on both the full day offshore fishing charters and the 3/4 day deep sea fishing trips. 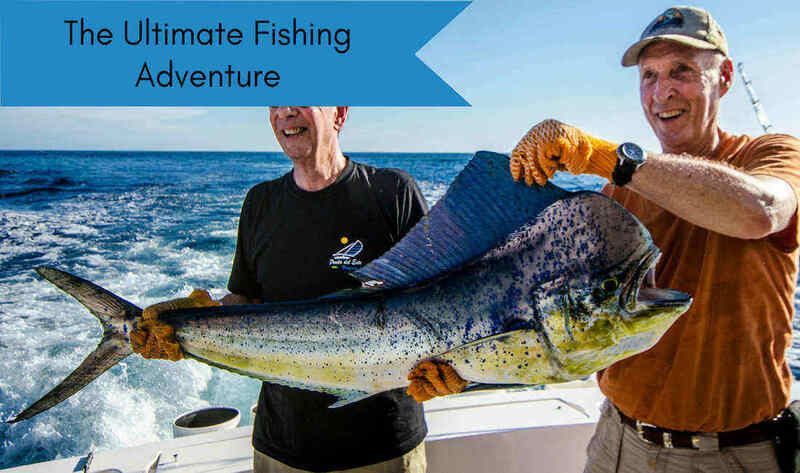 Of course, the full day provides more time on the water, than the 3/4 day, giving you better odds of catching Big Game Fish, such as Sailfish, Marlin, Dorado (Mahi-Mahi), Wahoo, and Yellow Fin Tuna for a thrilling day offshore. 8 hours of fishing about 20 to 30 miles it includes complete lunch, fruits, snacks, and drinks. The species targeted are Sailfish, Dorado, Marlin, Tuna and Wahoo. Return time around 4:30 in the afternoon. 6 hours of fishing about 20 to 30 miles it includes complete lunch, fruits, snacks, and drinks. Return time around 2:00 in the afternoon. 5 hours of fishing inshore about 7 to 12 miles close to the coast. It includes snacks, drinks, and fruits. The species targeted are Rooster Fish, Snook, Spanish Mackerel, and Jack Crevalle. 8 hours of fishing inshore about 7 to 9 miles close to the coast. It includes complete lunch, fruits, snacks, and drinks. 6 hours of fishing inshore about 7 to 9 miles close to the coast. It includes snacks, drinks, and fruits. 6 hours of fishing about 15 miles offshore, near several spots where the fishing has been famous for Red Snapper, Grouper, Rabbit Fish and Devil Fish. The Fishing is Heating Up! Reel In 1 Releases 15 Yellow Fin Tuna in 1 Day!